The U.S. Forest Service is scheduled to begin a series of controlled burns Wednesday in the eastern San Diego County highlands. 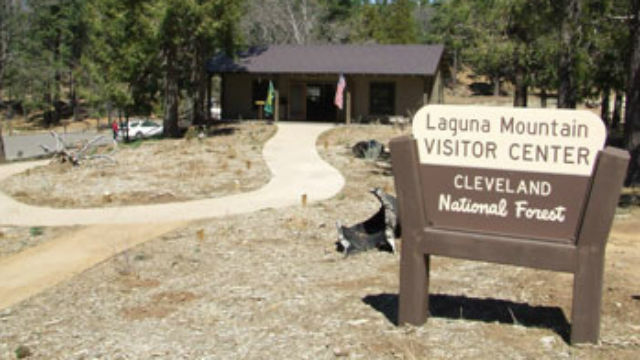 Firefighters are slated to conduct a two- to three-acre burn along Sunrise Highway in the Mount Laguna area, according forest service spokeswoman Olivia Walker. The operation initially was planned to begin on Tuesday morning but was postponed due to high winds, she said. The program, aimed at reducing wildfire hazards by clearing dry and dead vegetation, is expected to run through May and cover 500 to 700 acres in various sections of the Cleveland National Forest, including terrain around Lake Morena, and possibly Pine Valley and Horsethief Canyon, depending on weather and fuel conditions. The exact dates of the other prescribed fires have yet to be scheduled. “A lot’s going to depend on the weather,” Walker said.